The Tech Evangelist! The Tech Evangelist! 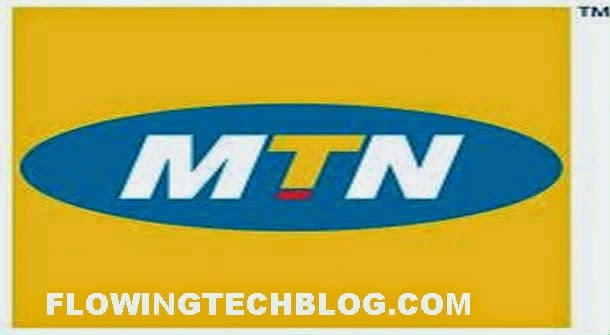 Hello Guys, I've come again with a new mtn free data trick, FlowingTech found this loophole this morning and decided to share it with you guys, make sure you do what you have to do asap and get yours. MTN is giving 4.5GB for free... You heard it right for free. Send 102 to 131 on your MTN sim and you'll receive free 4.5GB(1.5GB for day and 3GB for Night) valid for 30days. I tried it on 6 of my mtn sim cards and was fortunate enough to get it working on 4 mtn sim cards. 4.5 +4.5 + 4.5 + 4.5 = 18, and thats how i got my free 18GB worth of data for free. Lemme hear from you once you are done. This is for all those Android users either rooted or unrooted who are still finding it difficult to use MTN BIS on Android via SS or Psiphon. I know some of you are already enjoying it, but for the benefit of those who are still finding it difficult to use. I'm going to give you a simple configuration and that should work just fine for you. Note that MTN BIS or BBLited is not unlimited regardless of the software you are using. It is capped and if you are going to download heavy files, it's recommended you use the daily plan. Hence and straight to the tutorial. Tick "Use system network setting"
Go back to your Sypon homepage and hit the connect button. Your MTN BIS should now connect and let your surfing begin. One of the greatest disaster of every mobile phone is having issues with your battery draining unconditionally without your permission. It's not only annoying but disturbing. It's a total crab having your devices working perfectly while your battery don't last at all. If you are in such predicament, you charge your smartphone, as soon as it gets to 50%, it will quickly reduce to 20%, and before you know it, your smartphone is hot and switched off. Then their is a fix for you. I know this battery issue drain is common with most smartphone and some few others but just read on.This is just a simple fix for those experiencing the draining stuff. Advance Task Killer (ATK) is often use to kill applications and clean memory. How to use it (for new users to quick start)? ATK is pretty simple. Open this tool and take a look at the running applications list? Uncheck some apps you don’t want to kill (such as Advanced Task Killer and some system apps) Tap the button ‘Kill selected apps’, it will kill all applications checked. Ignore list is for you to ignore some app you don’t want to kill. If you long press on the app listed on the main screen of ATK, the menu will pop up, then you can select ‘Ignore’, the application would be moved to ignore list. When you tap ‘Kill selected apps’, it won’t be killed any more. – Safe: Only kill the apps aren’t running but still consume memory. – Aggressive: Kill the apps running background and apps aren’t running. – Crazy: All apps except for apps you are using with. This application is pretty much handy and will help you save your battery usage regardless of the kind of phone you are using. After writing all manner of posts on how to use WhatsApp free for life, after using all manner of tricks to make sure you don't pay for WhatsApp at all despite the fact that it was only meant to last for a year, WhatsApp finally makes the their messaging app free for life. A lot of functionalities has been added to WhatsApp which makes it more interesting when chatting... and the embargo of paying $0.99 yearly has been removed making it free for use for life. Well, I'm sure you are still expecting the video calling feature seen earlier to be added to WhatsApp next update maybe and lots of features are still going to be added. I want to believe none of you still use 2Go or else you'll go back to Junior secondary school. Medecins Sans Frontieres (MSF), is recruiting to fill the position of: Health Promoter Supervisor. Interested candidates should possess relevant qualifications, with a minimum of 1 year work experience. HT-Limited, is recruiting to fill the position of: Driver. Interested candidates should possess relevant qualifications. Medecins Sans Frontieres (MSF), is recruiting to fill the position of: Medicines Dispenser. Interested candidates should possess relevant qualifications. Co-Creation Hub (CcHUB), is recruiting to fill the position of: Market Development Rep (Life Bank). The position is located in Lagos State. Interested candidate should possess relevant qualifications. KPMG Nigeria, is recruiting to fill the position of: Research Analyst. The position is located in Lagos State. Interested candidate should possess a minimum of First Degree in any discipline, with at least 1 year work experience.